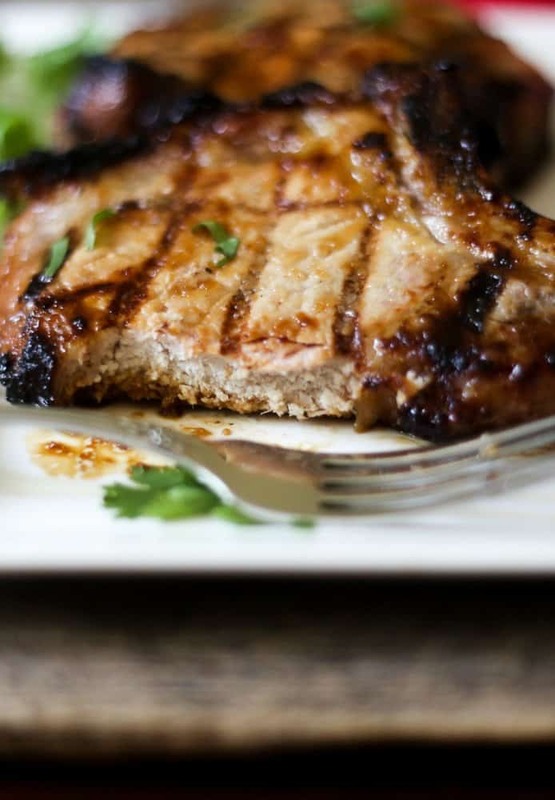 Grilled Teriyaki Pork Chops are delicious and so flavorful! Pork chops are marinated in fresh orange juice, teriyaki sauce, and honey to caramelize the pork. Marinate for at least 30 minutes to overnight and just before grilling, cover the pork chops with a spice rub for a delicious grilled pork dinner that is always a hit! For a low-carb dinner, pair with corn on the corn or grilled veggie kabobs! I originally published this recipe in 2016. At that time, I did not marinate the pork, with this update, I totally recommend marinating the pork in the orange and teriyaki sauce. I use a really delicious spice rub from Swine Dining called Wimpy’s BBQ Rub to rub on the pork before it is grilled. The spice rub includes Hungarian paprika and brown sugar and it adds a really nice flavor to the pork chops. Save some of the sauce to brush on the pork as it grills to bring the flavors to a wow factor. What sides goes well with grilled pork chops? To cook pork chops on a grill, preheat grill to 450 degrees or a grill pan to hot. Depending on the thickness of the pork chops, slightly thicker pork is best to grill, about 4 minutes, turn pork over and grill another 3-4 minutes. Internal temperature should be 145 degrees. Let pork rest about 5 minutes before serving to keep pork juicy. How long can you marinate pork chops before grilling? Marinate the pork chops in the teriyaki marinade at least 30 minutes up to overnight. You can also place pork in a marinade and place in a freezer bag in the freezer. When ready to cook, defrost in the fridge and the pork will marinate as it defrosts. 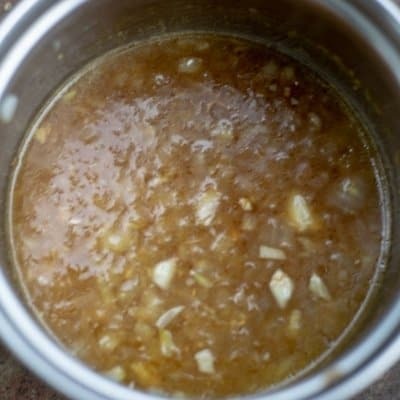 Discard marinade before cooking or grilling. What is the best seasoning for grilling pork? For this dish, Wimpy’s Spice Rub is used. If unavailable, use a combo of paprika, brown sugar or coconut sugar, black pepper, salt, garlic powder, onion powder ( 1 teaspoon each) and if a bit of spice is your fancy, add 1/2 teaspoon chili powder. Any extra seasoning can be kept well covered for 3 months. 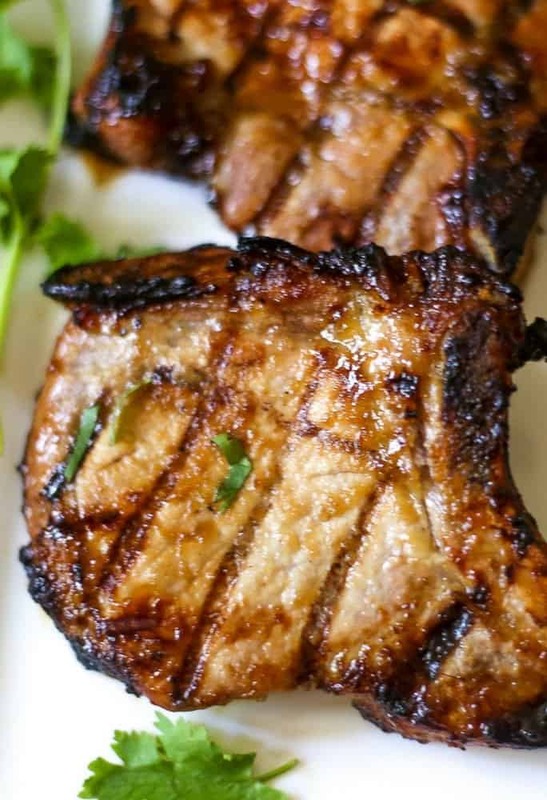 What are the best cuts of pork to make grilled teriyaki pork chops to grill for this recipe? Absolutely. I use either bone-in or boneless pork chops for grilling. I prefer the pork chops be about thickness about 1 1/2 inch so they do not dry out during the grilling process. 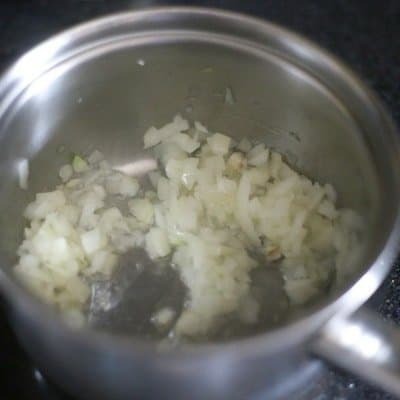 In a small saucepan, over medium heat add olive oil and add garlic, onion, and ginger. 2. 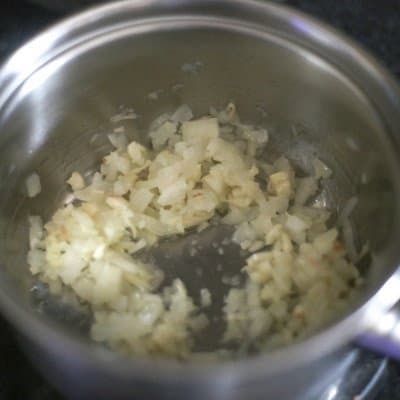 Saute garlic, ginger, and onion for about 2 minutes to sweat the onions. 3. Add into the saucepan the orange juice, teriyaki sauce, honey, and pepper. Bring to a boil and reduce heat and simmer for about 5-7 minutes. Blend the marinade with an emulsion blender or standing blender. 4. Once cooled, take half the marinade and place in a large storage bag with the pork chops. Let marinate at least 30 minutes up to overnight. 5. Over medium/hot heat on a grill around 425 degrees. Grill pork chops about 4 minutes per side. Use the second half of marinade to brush some on the pork as they grill. 6. Once pork is complete, let the chops rest for about 5 minutes. Serve with extra marinade as a dipping sauce. I HOPE YOU CONTINUE CONNECTING WITH ME! Warm a saucepan, over medium heat, add olive oil. Add the onions and garlic, and ginger until translucent, about 2 minutes. Divide sauce in half. Place first half of sauce in plastic storage bag with pork chops to marinate, at least 30 minutes to overnight. The second half of teriyaki sauce can be divided and half used to brush on pork while it is grilled. Serve remaining sauce with pork at the meal as a side sauce. Preheat grill. Remove pork from marinade. Discard marinade. Sprinkle pork chops with Wimpy's spice rub. Place the spice-rubbed pork chops on heated grill for about 4 minutes and turn pork chops. Grill temperature should be 400 degrees. Mop 1/2 reserved orange teriyaki sauce on the pork chops and grill until cooked through. Grill about 4 minutes total, flip pork chops grill another 4 minutes. The internal temperature of pork should be 145 degrees. Let pork rest about 5 minutes before serving. Serve with remaining orange teriyaki sauce. Note 1: Pork Chops can be bone-in or boneless, to ensure pork does not dry out, use cutlets about 1 1/2 inches thick. Note 2: I blend my marinade because I use it as a sauce while grilling and a dipping sauce. If in a rush, I have skipped the blending step. Also, if using a blender to combine ingredients, be sure to use a cloth to hold down the blender top. Hot liquids need caution when blending. Note 3: The teriyaki marinade and fresh pork chops can be frozen in freezer bags prior to grilling. As the pork defrosts, they marinate in the orange teriyaki sauce. The pork/marinade can be frozen up to 3 months. Awesome Teddy.me too! We had snow today and its April, ugh! Ready to BBQ!